The Dewi-Prys Thomas Trust promotes excellence in architecture, town planning, civic design, landscape design and other creative disciplines that contribute to the quality of life, identity and regeneration of Wales, either on its own or in collaboration with other organisations. 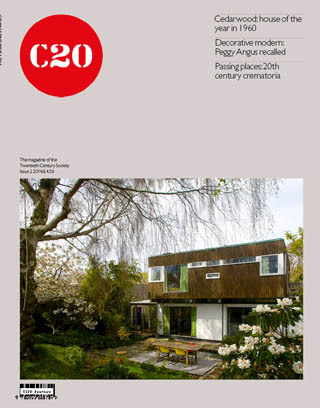 The trust was delighted to to see 'Cedarwood', which won the Women's Journal 'House of the Year Award' in 1960 featured in the spring 2014 of 'C20', the magazine of the Twentieth Century Society. To download a copy of the article, please click here. The Dewi-Prys Thomas Trust thanks the National Eisteddfod of Wales and the Royal Society of Architects in Wales for their support in holding this event.